Introducing the In-Built Requirements Manager that helps you create, modify and remove Features and their Scenarios in which a feature's behaviour may change. 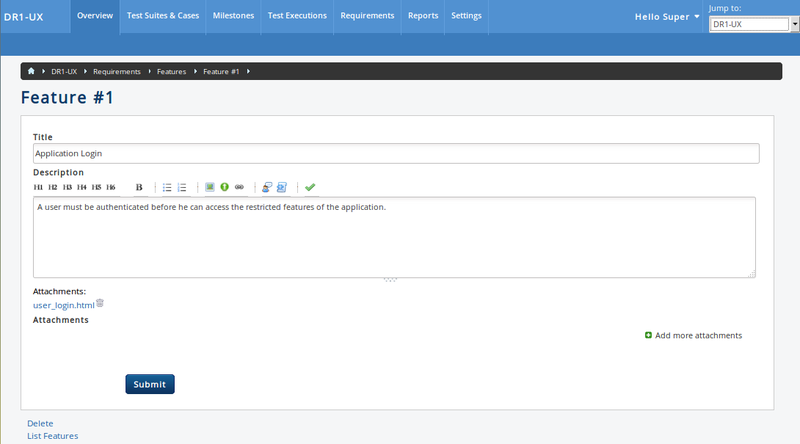 To use this you need to select "Test Collab's In-built requirements manager" as the source while enabling requirements for your Test Collab project. Once requirements are enabled you can switch to "Requirements" tab, here you will get a link to manage the features and scenarios. On manage features page, you can use the relevant link to start adding the feature. Similarly scenarios can be maintained by using the "Scenarios" option available next to feature on features list page. In Test Collab you can have one or more features and in turn you can have one or more scenarios under each feature that would define how a feature is going to behave in a particular scenario. 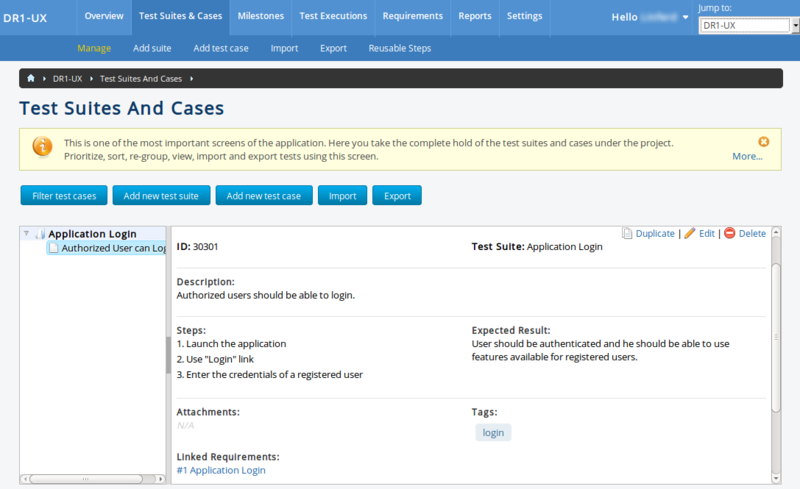 All features and scenarios once added can be linked with the test cases under the current project. All features and scenarios created under the current project are shown on requirements list page in hierarchical manner. When in-built requirements are enabled for a project you can import the features and scenarios using Excel or CSV format files. The process for importing requirements through Excel or CSV is same for both features and scenarios. On selecting either of the options you will be required to select the file that holds the requirements. If the data file has headers i.e. the first line defines the header for data, then you can check the box available for the purpose. After the mapping when you hit "Save", the process to import data from the selected file starts and if there is an error while importing the data then the same will be reported otherwise the requirement's data would be populated into your Test Collab project. A sample Excel spreadsheet that holds some features has been attached with this article for the reference.